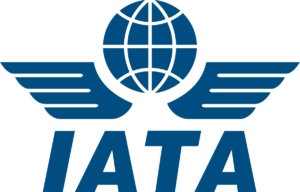 International Air Transport Association (IATA) was founded in Havana, Cuba, on 19 April 1945. It is the prime vehicle for inter-airline cooperation in promoting sale, reliable, secure and economical air services – for the benefit of the world’s consumers. The international scheduled air transport industry is more than 100 times larger than it was in 1945. Few industries can match the dynamism of that growth, which have been much less spectacular without the standards, practices and procedures developed with IATA. At its founding, IATA had 57 members from 31 nations, mostly in Europe and North America. Today, it has some 275 members from 117 nations in every part of the globe. The modern IATA is the successor to the International Air Traffic Association founder in The Hague. Netherlands in 1919 – the year of the world’s first international scheduled services. IATA’s head office is in Montreal (Quebec, Canada) and its executive office is in Geneva (Switzerland). IATA also has regional offices around the world. This course is ideal for young professionals looking to get a head start in the profession, introducing the skills and responsibilities expected by the world’s leading airlines. Special emphasis is given to effective communication, customer service and procedures for handling unusual situations during flight. The course will also prepare students to project professional image and confidence and provide useful tips for acing the recruitment process. 1. Demonstrate relevant operational principals in various types of airline cabin service situations. 2. Organise information for further application or dissemination. 3. Recall real-world problems drawn from the aviation service industry by: identifying central issues and listing solutions. 4. Demonstrate attainment of prescribed goals through organising, motivating, coordinating and cooperating with peers. This IATA module prepares students to understand the cabin crew profession, its origins and current practices. Students will learn about the airline industry and the different aircraft types. They will understand relevant cabin crew functions and learn the emergency and safety procedures on an aircraft. The module will prepare students to manage passenger interactions in a variety of circumstances. The module aims to give students an understanding of different customer service models and strategies in the aviation industry. Students will learn how and why to provide, measure and improve customer service. Students will develop effective verbal and written communication skill in customer service process. This module will give students tips on personal grooming including appropriate dressing and make-up for ladies to project a professional image. Students will also learn deportment and social and business etiquette so as to be able to carry themselves well and with confidence. This workshop aims to provide the knowledge in career planning, its concepts, best practices and setting of career goals. Here, students will learn to write their resume and practise interview skills. * IATA Airline Cabin Crew Training Certificate will be awarded upon successful completion of IATA exam for this module. Get Your Certificate in Cabin Crew!